Head over to REI.com to score a Hart Mini First Aid Kit for only $5.23 plus get free shipping. This regularly costs $10.65 and I counted 44 pieces that are included with it! This would be a great item to keep in your car, emergency kit, etc. You never know when you might need it, unfortunately. When you get to the site, enter "hart mini" into the search bar to find it. 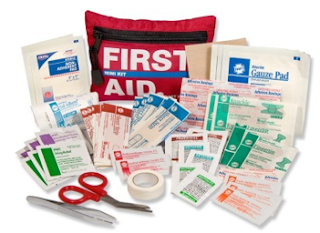 NOTE: You can also get a good deal on a slightly larger first aid kit with a few different items for $7.63, down from $16.50. To find this one, enter "Hart 2-Day First Aid Kit" into the search bar.